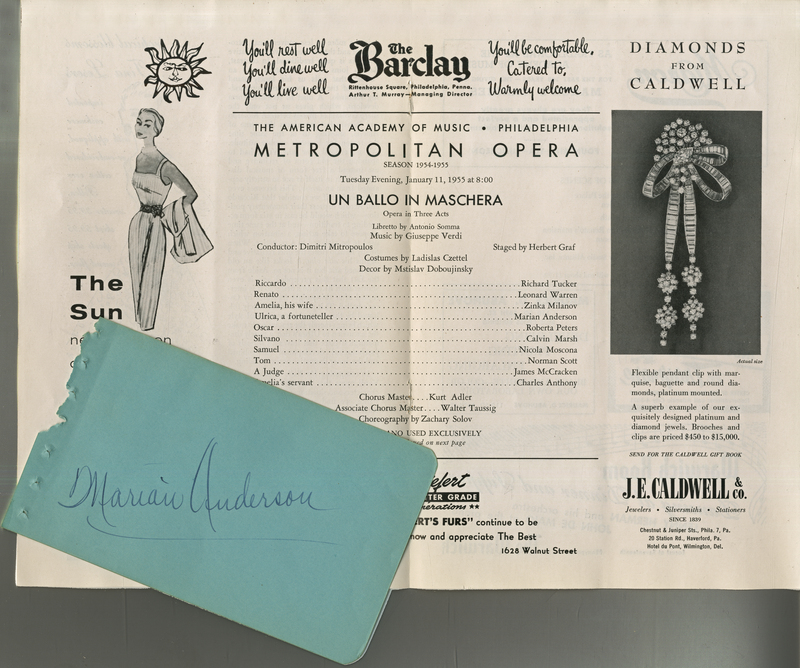 Folded page from a performance program with a page from an autograph book. 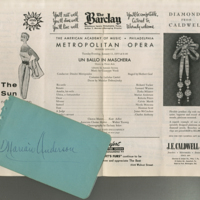 “Academy of Music, Philadelphia, Jan. 11, 1955 (with Autograph).” Marian Anderson Collection, MS 068. WCSU Archives, 5 Apr. 2018. Accessed on the Web: 22 Apr. 2019.